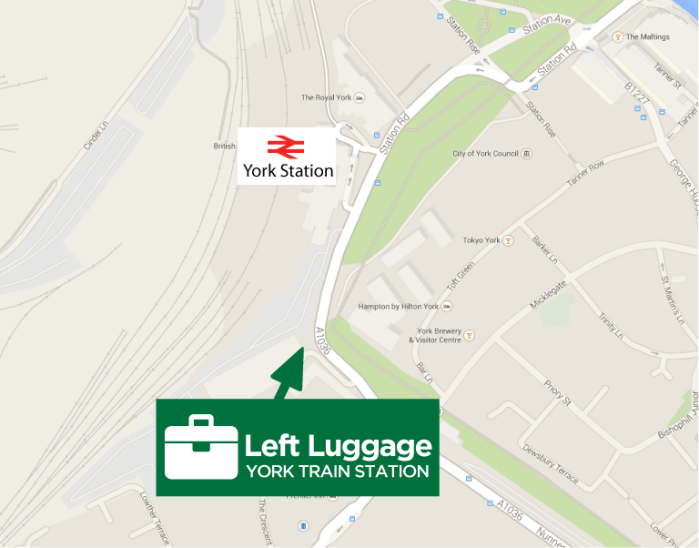 We provide the left luggage service for York Railway Station. Leave your luggage with us in our convenient, secure facilities next to York Railway Station. You do not have to be a rail passenger to make use of our services. The office is located next to the Europcar Office on Queen Street adjacent to the long stay car park. The office is located next to the Europcar Office on Queen Street adjacent to the long stay car park. "Very convenient for our day trip to York"
"Superb and easy service for a regular traveller through York Station"